If you are a lumberjack, a homesteader, or live nearby the woods, you will often need a chainsaw. A chainsaw is a versatile and portable power tool that you will enjoy carrying around your yard or job sites. These compact and powerful tools come in many variants and are getting better with the advent of modern technology. Battery chainsaw and gas chainsaw are making quite a buzz in the realm of arboriculture. Both battery chainsaw and gas chainsaw has pros and cons and that engages the users in a debate on battery powered chainsaw vs gas. Battery chainsaws are convenient to use and lightweight whereas gas chainsaws are a bit heavy but more powerful than the electric chainsaws. 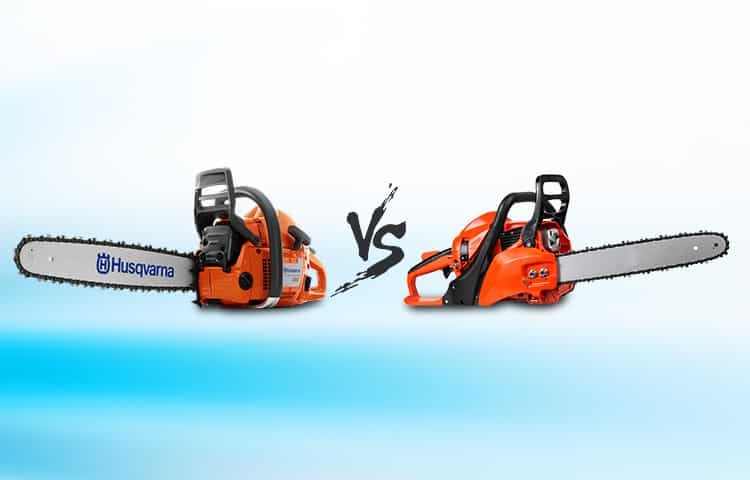 These chainsaws differ from each other in terms of power, speed, and runtime. And, there are a few more issues to address. So, you have to dig deep to know which one is better for you. Read on to make an educated decision while purchasing a battery chainsaw or gas chainsaw. What’s a Battery Powered Chainsaw? As the name suggests, battery chainsaws run with the help of electric power. This cordless chainsaw runs on rechargeable batteries. 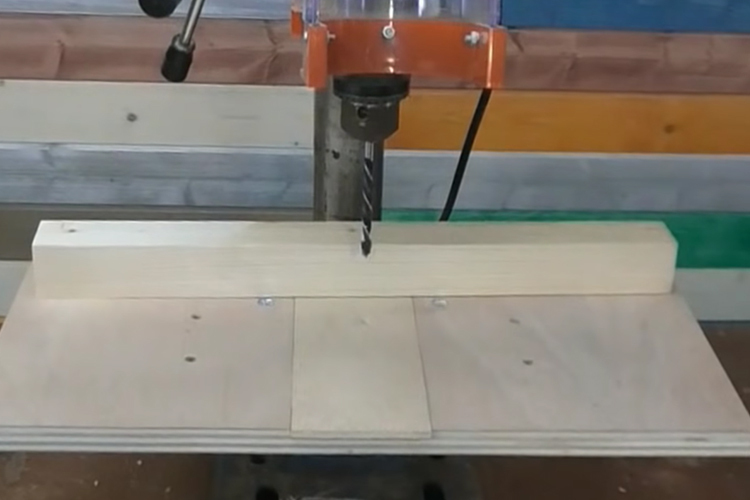 There are some other electric chainsaws which need to be connected with the power source constantly to perform the cutting. Battery chainsaws are free from such nuisance. Read the battery chainsaw benefits from the below section. A battery chainsaw comes with some amazing features. These features make them better than their peers. A good-quality battery powered chainsaw have triggers, electronic safeties, alerts, ease of adjustment, etc. Triggers: Battery chainsaws have two-step triggers. This trigger mechanism keeps the users safe in all chainsaw applications. Electronic safeties: They have electronic power buttons and added safety measures to prevent any injury. Alerts: there are dedicated LED lights that indicate trouble conditions. Some battery chainsaws produce chirping sound to indicate the timeout interval. Ease of filling oil: You need to fill oil when needed to get a smooth cutting experience. These battery chainsaws come with easy and convenient oil filling option making the ‘manual filling’ task a breeze. Balance: A saw must have a balanced construction providing a balanced feel to the user when he/she uses the tool. These tools have a great balance between the weight of the engine and the length of the saw. Ergonomic handles: Chainsaws with thick handles are more efficient for cutting. These battery chainsaws come with ergonomic handles with a rubber grip. Battery chainsaws are lighter than other chainsaw variants, and they are inexpensive compared to other chainsaws. It comes with a convenient push button to start the machine. This tool runs quietly producing less noise. It is a low-maintenance tool. This tool is suitable for DIY projects and yard management. These have limited guide bar length. Typical battery chainsaws are usually weaker than its competitors. The batteries are pretty costly. What’s a Gas Powered Chainsaw? A gas chainsaw runs on gasoline. It has a fuel tank beside the engine shroud. Usually, a tank contains 0.33 to 0.47 liters fuel which can keep the tool functional for 15-20 minutes being applied to moderate cutting. These chainsaws are empowered with small two-stroke engines. They require more maintenance but are powerful in terms of runtime and cutting ability. Gas chainsaw benefits are as follows. Gas chainsaws are popular for their air injected low emission engine, automated chain oiling system, anti-vibration technology, balance, etc. The key features are as follows. Low emission engine: Gas chainsaw has an engine with low exhaust emissions. And the air injected engine helps it run more efficiently. Automatic chain oiling: It has an automated system that keeps the chain oiled when you are using the chainsaw. This facility relieves the user from manual oiling. Anti-vibration technology: Usually, gas chainsaw produces a lot of sounds. This technology helps greatly in reducing the noise. Balance: The construction of this tool provides a great balance with the cutting end and the weight of the engine. Its design facilitates the cutting process. These tools are more powerful than other counterpart chainsaws. You can saw down all type of trees including hardwood with a gas chainsaw. A chainsaw comes in handy while clearing up after a storm. It isn’t confined to power chords. It comes with superior motor power and torque. These tools support bar-oiling system better than other chainsaws. Gas chainsaws produce louder noise while being used. They are heavier and difficult to carry and move. You need to maintain the tool on a regular basis. If you are going to trim around your backyard or property and do some DIY projects, battery chainsaw is the right one for you. But, if you need to do some heavy cutting that includes hardwood, you must choose a more powerful chainsaw such as a gas chainsaw. If you consider the noise production, battery chainsaw has an upper hand, but if you consider the runtime, gas saw wins the race. However, some high-end models feature more powerful engines and allow for longer operation. So, there’s no end to the battery powered chainsaw vs gas comparison. Choose the best one as per your requirement.